Liquid Petroleum Gas or LPG heating is an alternative to oil, for properties that are not connected to the mains Gas grid. 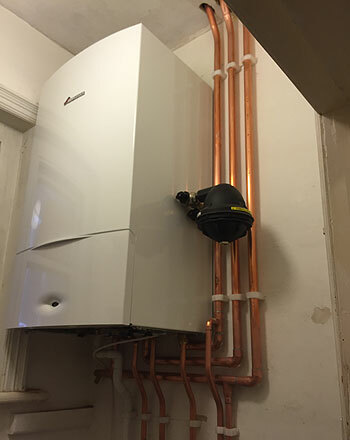 It is a popular choice for mobile homes and although it is not as common as the other two fuels Buxton Heating install and service, our engineers are trained and qualified to ensure that your LPG boiler is running efficiently and safely. The advantages of LPG are that it is a clean burning fuel, as well in the event of a spill, LPG will not cause contamination to the water or the environment. The tank can also be stored underground so that it is hidden from sight. As with other boilers, we recommend that LPG boilers are serviced annually to check for potential problems and to ensure they are safe. LPG boilers must be installed and serviced by a Gas Safe registered engineer. For expert advice and to discuss your LPG options call us today. Our team of highly experienced LPG engineers have experience of installing, servicing and repairing LPG heating systems across the region from our base in Haslemere.